PARDES: Zion80’s first official video! 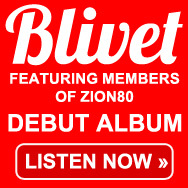 Zion80’s FIRST OFFICIAL VIDEO! Directed by Saul Sudin and starring Simon Feil. The full WARRIORS album is out 11/1 on Chant Records. Previous Previous post: PARDES single out now!